With the alarming level of pollution in the city, there isn't any quick remedy to fix outdoor air quality. While you can put on masks when stepping out, you can use air purifiers indoors. With the alarming level of pollution in the city, there isn't any quick remedy to fix outdoor air quality. While you can put on masks when stepping out, you can use air purifiers indoors. But while buying one, consider a few things including the room size, the clean air delivery rate (CADR), air changes per hour (ACH) and the type of filter in the purifier, among other things. CADR is affected by room area and height. The CADR should ideally be two-thirds of the room size. So, for a room measuring 300-350 sq.ft., a CADR of 200-250 cubic metres an hour (m3/h) is preferable. Higher the CADR, better the air filtration capacity of the air purifier. he type of filter is yet another important factor - a HEPA (high efficiency particulate air) filter can filter up to 99.9 per cent airborne particles of upto 0.3 microns in size; activated carbon in combination with a HEPA filter can remove odours, too. Also consider the operating cost, which is the cost of replacing the filter at the time of the purchase. 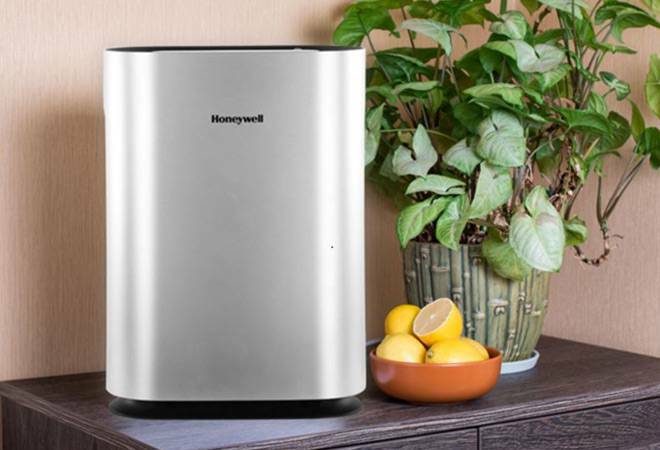 The story lists some of the best air purifiers in the market with their current market operating price. It cleans 400 square feet in 10 minutes. It has EPA triple layer filter and removes harmful PM2.5. It has real time AQI monitoring and can also be controlled using the Mi Home app. Equipped with VitaShield IPS (Intelligent Purification System) Technology with Auto Mode & Allergen Mode, it has a CADR (clean air delivery rate) of up to 270 m3/hour. Philips claims that this air purifier can removes 99.97 per cent allergens & ultra-fine particles as small as 0.02 microns, 100 times smaller than PM 2.5. It come with an extra-thick NanoProtect TRUE HEPA Series 1 Filter. This one from Panasonic is has a CADR of 215 sqft with Nano-technology which can release OH radicals in water molecules which removes the effectiveness of bacteria and odour removal. It has a dirt sensor which detects PM 2.5 level and HEPA composite filter captures pollutants efficiently. With a CADR of 225m3/h, this air purifier comes with a built-in humidifier along with an air quality sensor and filter change indicator. The filter keeps indoor air free from dust (PM2.5 and PM10), gases, smoke, odours, allergens and airborne infections. Its 'seven-stage' air purification process includes pre-filter, anti-bacterial filter, H13 grade HEPA filter, activated carbon, photo catalyst, UV light and ionizer. It features a three-layer filtration process - the company's HiSiv filter, HEPA filter and a washable pre-filter - that eliminates large dust particles, bacteria, formaldehyde and volatile organic compounds. It claims to offer PM2.5 removal efficiency of more than 90 per cent. It has a touch panel for operations. The AP22 from Havells comes with a CADR (clean air delivery rate ) of 200m3/h and removes PM 2.5 upto 0.02 microns with a removal efficiency of 99.9 per cent. It comes with a health plus lock, child lock and filter replacement alert. It is equipped with True HEPA Filter which the company claims reduces PM2.5 to close to ZERO mcg/m3 & Plasmacluster Ion Technology removes odour and Infections. It has a CADR of 480m3/h and has dust Sensors for Monitoring Quality of Air and Auto Restart Function. One of the world's leading air purifier brand, it captures 99.97% of airborne particles down to 0.1 micron in size and is capable of change air 5 times in one hour. It has been designed for a room of up to 200sq ft. It has motion sensors and is Wifi enabled for controlling it through mobile app. Nirvana Being has now launched Airgle AG600 PurePal Air Purifier and Airgle AG900 PurePal Clean Room Air Purifier. Airgle Air Purifiers use cHEPA filtration which is certified to filter ultra-fine particles down to 0.3 microns and claims to offer efficiency of over 99.991 per cent. The Airgle AG600 features a 35 sq. ft. cHEPA filter, 3.5 lbs of premium deep carbon blend, the AG600 is perfect for small to medium-size rooms. The Airgle PurePal Clean Room AG900 Air Purifier features a 40 sq. ft. cHEPA filter, 6 lbs of premium deep carbon blend, along with the company's next-generation Titanium Pro module. The Airgle AG 600 is priced at Rs 94,990.00 and AG900 is priced at Rs 1,34,990. The company has installed air purifier solutions in prominent global companies such as NASA, Marriott, Deutsche Telecom, Bennett Coleman, Birla Group, Fab India and more.